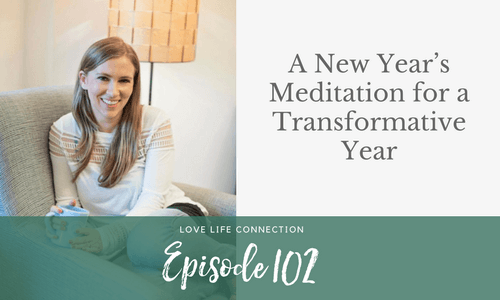 In this special New Year’s episode, I’m taking you through a meditation to help you set intentions and create clear goals that will create real change for you in 2018. New Year’s Resolution’s don’t really work, but I find New Year’s INTENTIONS can, and this meditation is all about you getting clear on what 2018 is going to be like for you. So you can go out there and create it!